Father of Barb ’72 & Stephanie ’81 Robaszkiewicz passed away. 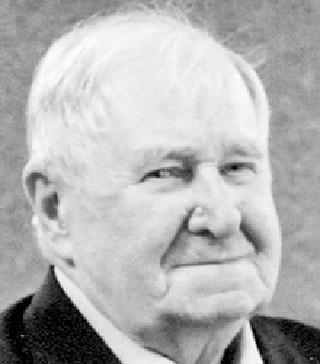 Louis Robaszkiewicz, age 85, of Toledo, passed away on October 22, 2016. He was born on June 8, 1931, to Louis Sr. and Bernice Robaszkiewicz in Toledo. Lou proudly served his country during the Korean War. He was a member of the Korean War Veterans 11th Airborne Division (where he was a para trooper in the Army), the American Legion, the 40/8 and the Fraternal Order of Eagles. Lou was patriotic and had passion to ensure the American Flag was respected in the way it was hung and rested. Lou worked as a dock worker for the former Interstate Trucking and Mather Springs. He enjoyed playing golf, fishing, working jigsaw puzzles, watching car races, watching birds and other creatures playing outside his back window, and he especially loved playing cards and he always had a joke to tell. Bierley; grandchildren; great- grandchildren; nieces and nephews. Family and friends may visit on Tuesday from 6-8 p.m. at the W.K. Sujkowski & Son Funeral Home, 3838 Airport Hwy., with services by American Legion Post at 7:30 p.m. followed immediately by 40/8 services. Funeral Services will be held on Wednesday, October 26, 2016, at 11:00 a.m. in the mortuary. Interment with Military Honors by the Lucas County Veterans Burial Corps will follow at Toledo Memorial Park. Mary C. O’Rourke went to her Heavenly home on October 17, 2016. She was born on April 18, 1947 to the late Mary and Edward Murray in Toledo, Ohio. Mary retired from Wolfcreek Retirement Center where she was a loving caretaker for her mother, father and aunt. She was a frequent volunteer at many Catholic charity events, including the Ursuline Center for retired Sisters. Mary was very active at St. Patrick of Heatherdowns. She loved kids and after retirement, enjoyed babysitting her great-grandson and the Steele family. Left to cherish her memory are her children, Colleen O’Rourke, Carolyn (James) Paulus and Timothy (Patricia) O’Rourke; siblings, Ann Schings, James, Michael, Terry, Patricia, Bill and Dave Murray; grandchildren, Anthony III, Timothy and Kristopher Kropaczewski and Dakota Sprankel; great-grandson, Anthony Kropaczewski IV. Mary was preceded in death by her parents and sister, Eileen Heckman. The family will receive guests on Thursday, October 20, 2016, from 4:00-8:00 p.m. at Newcomer Funeral Home, 4752 Heatherdowns Blvd., Toledo (419-381-1900). The Rosary Service will begin at 7:00 p.m. The Funeral Mass will be held at 10:00 a.m. on Friday at St. Patrick of Heatherdowns Parish, 4201 Heatherdowns Blvd. Burial will take place at Resurrection Cemetery. Memorial donations may be made to: The Ursuline Center, 4045 Indian Road, Toledo, OH 43606 or the Toledo Area Humane Society, 827 Illinois Avenue, Maumee, OH 43537. (News story) Thomas E. Salsberry, a builder and auctioneer who owned Salsberry Real Estate Co. after working as a real estate agent in offices around Toledo, died Saturday in Hospice of Northwest Ohio in Toledo. He was 82 and had suffered from emphysema for years, his son Todd said. He had lived in Genesis Village for the past year. He sold real estate for about 50 years, working for the Arnold, Crosby, Melle, and Danberry real estate agencies before opening Salsberry. As an auctioneer he sold the contents of homes as well as real estate and seemingly never said no to volunteering his time for charity organization sales, which made him well known in the area. “If he walked into a restaurant, at least 15 people in the restaurant knew who Tom was,” said Rob Ludeman, a Toledo city councilman and a real estate agent for Danberry, who had worked with Mr. Salsberry at Salsberry. Mr. Salsberry had just become affiliated with the Arnold Realty Co. in 1965 when he was named president of the associates division of the Toledo Board of Realtors. By 1970 he was vice president and sales manager of the Melle Real Estate Co.’s new South Toledo office. Later he was a managing broker with Danberry Realtors. He opened Salsberry in the mid-1980s, starting in an office on Conant Street in Maumee and then moving to Heatherdowns Boulevard. About 60 real estate agents worked for the firm, selling residential properties in Lucas, Wood, and Monroe counties. Mr. Salsberry often had 20 to 30 auctions a year, selling real estate to crowds that usually ranged from five to 25 people. Contents auctions, usually held at the home being emptied, drew bigger crowds, sometimes up to 150. Mr. Salsberry’s manager in his real estate firm, Tom Matzinger, was his partner in building ventures. They called their partnership Tom & Tom and built 31 villas behind the Heatherdowns office in a development they called Heatherlake Commons. The development was started in about 2000 – about the time that Salsberry Real Estate Co. was sold to Danberry – and the 1,662-square-foot villas were all sold by 2008. Tom & Tom was the general contractor as well as the designer of the villas. Both men were experienced woodworkers. Mr. Salsberry had started his career doing remodeling and renovations, operating under the name Homecraft Improvements. Later he made aluminum storm windows, using the Homecraft Industries name. He designed several homes for his own family and in the 1970s and ’80s they moved almost every other year on average, into new homes that he had built or renovated. Most were traditional colonial homes in the Maumee, River Road, and Toledo Country Club areas. In 1976, The Blade featured the saltbox home that Mr. Salsberry designed on Townley Road with the goal of making it look like an 18th-century house. It had specially made poplar moldings for chair rails in every room and the walls were painted an off white to give a whitewash effect. Mr. Salsberry and his wife, Barbara, collected antiques and were putting a collection of kerosene lamps and candle holders in the home, which had several fireplaces. Mr. Salsberry was born April 24, 1934, to Vern and Mary Salsberry and grew up in South Toledo. He graduated from Libbey High School in 1952 and married Barbara Brown, a 1951 Libbey graduate, who operated Barbara Brown’s Dress Shop at 24 N. 3rd St. in Waterville in the 1980s. She died in 1995. He married Sharon Skala, a banker, in 1998. They later divorced. Mr. Salsberry enjoyed poker and golf and he kept a boat on the river for years. But his biggest enjoyment always seemed to be sales, be it real estate or antique jewelry. “There’s probably still stuff on eBay right now,” his son said. Surviving are his daughter, Tam Salsberry; son, Todd Salsberry; four granddaughters, and four great-grandchildren. Visitation is 3 to 8 p.m. Tuesday at Coyle Funeral Home and services are at 10 a.m. Wednesday in Our Lady of Perpetual Help Church. The family suggests tributes to the charity of the donor’s choice . This is a news story by Jane Schmucker. Contact her at: janeschmucker@yahoo.com or 419-724-6050.
certification, she received a B.S. in nursing from St. Louis University. While in St. Louis, she worked as a Clinical Instructor Coordinator at St. John’s Hospital, coordinating theory in the classroom with bedside nursing in medical and surgical care. Luci met her late husband, Theodore “Ted” Gorski, Ph.D., while in St. Louis. They married in 1953 at St. Joseph Church and ultimately relocated to Maumee, Ohio. Together, they established North American Science Associates (“NAMSA”), in 1967. NAMSA is still a family owned business and has grown into a successful, multi-national entity testing medical products for safety and efficacy. established a college scholarship program for children of NAMSA Associates. Luci was Chairman of the Hamlet Homeowners’ Association for several years. During her tenure, she worked with the grounds committee to assure the longevity of the trees and beautification of the Hamlet grounds. Ted Gorski was a master gardener, and Luci maintained his work in the beautiful gardens of their home and the public spaces of the Hamlet. Throughout the years of Luci’s community involvement, she was active full time at NAMSA, working in numerous positions over the years, including serving on its board, all while raising six children. As a lasting legacy, Luci and Ted established the Gorski Family Foundation, which has a primary mission to support charitable organizations with a cultural arts, religious, educational or scientific purpose. In recognition of her philanthropic activities, Luci was awarded the Central Catholic High School Order of the Celtic Cross in 1998, its Golden Shamrock Award in 2005, and the Toledo Botanical Garden Crosby Award in 2012. Luci’s dear friend, Robert Billstein. Friends will be received in the Witzler-Shank Funeral Home, 222 East South Boundary, Perrysburg, OH 43551 (419-874-3133) on Thursday from 5-8 p.m. and Friday from 3-8 p.m. where the rosary will be prayed at 7 p.m. Prayers will be recited at 9:45 a.m. in the funeral home on Saturday, October 15, 2016, followed by the Mass of Christian Burial at 10:30 a.m. in St. Rose Catholic Church with burial to follow at St. Rose Catholic Cemetery. Ducey. Sally attended DeVilbiss High School and was a graduate of the class of 1945. After high school she attended Indiana University and became a member of Chi Omega Sorority. She also attended the University of Toledo as well. One of her main passions in life was riding Thoroughbred horses. She started riding at age 8 and showed hunters and jumpers throughout Michigan and Ohio. After riding, she became active in tennis and golf. 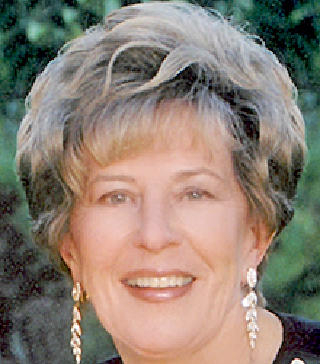 Sally was a member of Inverness and Brandywine Country Clubs, Toledo Hospital Auxiliary, Toledo Opera, Toledo Symphony and the Maumee Garden Club. Sally also volunteered her time at The Ability Center and the Toledo Animal Shelter. Some people come into our lives and leave footprints on our hearts and we are never the same. With broken hearts we announce the sudden passing of Jacob on Friday, September 30, 2016, at the age of 24. Beloved son of Lori (Bancer) and Denis Verreault; amazing brother to Jeremy Bancer and D.J. Verreault and trusted friend to so many. A special heartfelt thank you to his best friend Ryan Johnson and his entire family for their kindness and loving support. Jacob will be remembered by his grandparents, Jack and Sue Bancer, Clemence Levesque and Edmond Verreault; David Crooks; many aunts, uncles and cousins. Jacob was a graduate of Lakeshore Catholic High School and the University of Toronto. He was also a dedicated employee of Tim Hortons Canada for many years. We are so grateful to Tim Hortons for their ongoing love and support during this difficult time. Words could never express our gratitude for their kindness. Cemetery. 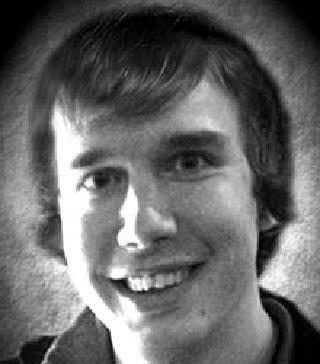 In memory of Jacob, donations may be made to Tim Horton’s Children’s Foundation. Life is not about waiting for the storm to pass – it’s about learning to dance in the rain. 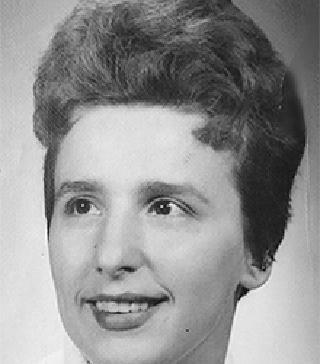 Anne L. Hammer, age 82, of Toledo, passed away September 30, 2016, in her home surrounded by her loving family. Anne was born November 4, 1933, in Toledo to Randall and Minnie (Unknown) Studdard. She enjoyed going to garage sales. Anne was considered to be “Santa’s Helper” and loved to decorate her home at Christmas time for all to enjoy. Known as a practical joker, she loved April Fool’s Day. Left to cherish her memory is her loving husband of 62 years, Ronald Hammer; daughter, Robin Frisk; daughter, Theresa (Tom) Voli; daughter, Patricia Jarchow; son, Anthony Hammer; grandson, Chris (Kandice) Cole; grandson, Bryan (Melissa) Frisk; granddaughter, Michelle (Jason) Anderson; grandson, Anthony Voli; granddaughter, Ariel (Nathan Reiter) Jarchow; granddaughter, Jacqueline Jarchow; 5 great-grandchildren. She was preceded in death by her parents; son, Ronald “Joey” Hammer Jr.; sister, Jean Dean and brother, Jim Studdard. The family will receive guests at Newcomer Funeral Home, 4150 W. Laskey Rd., Toledo from 1:00 to 3:00 p.m. on Tuesday, October 11, 2016. A memorial service will be held on Tuesday beginning at 3:00 p.m. Those planning an expression of sympathy are asked to consider ProMedica Hospice.